Pot-Life Scenix is activated for 4 hours after adding 4015. May be re-activated by re-adding 4015 after 4 hours. No pot life. Sandable & Buffable. Polish 7030 to a high gloss clear. Cures semi-hard. Less mar resistant compared to Scenix SSR Clears. Scratches from sanding cannot be polished or buffed out. A water-based, acrylic clear for application over any Createx Colors paint. Durable, for both indoor and outdoor use. Not automotive-grade. Appears milky in solution and dries to a glossy, transparent coating. 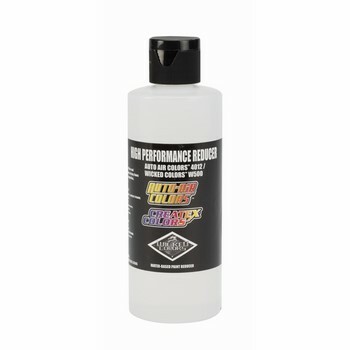 Reduce 5 – 10% 4012 High Performance Reducer. Apply with either airbrush or spray-gun. 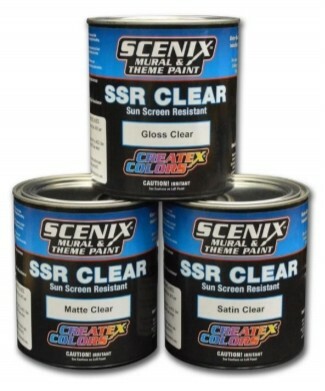 Scenix High Performance SSR Clear is a hybridized, aliphatic acrylic-urethane. When maximum chemical resistance and durability is required, use as a top-coat for Scenix colors. Mix Scenix SSR Clear with 4015 Cross-Linker: 2oz to one gallon. Scenix SSR Clear cures to a very durable, hard clear in one hour after application that may be buffed and polished. 4015 Cross-Linker is an essential cross-linker added to all Scenix Paints and Clears for maximum chemical resistance. 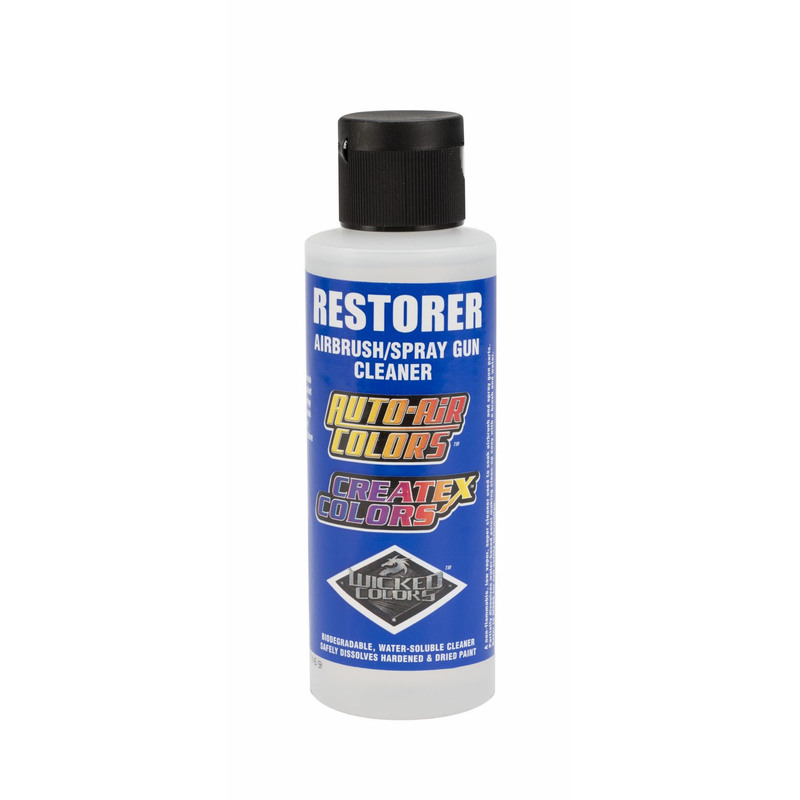 Recommended when painting hard substrates such as plastic, fiberglass, glass, aluminum and more. When mixed with Cross-Linker, Scenix colors are very durable paints that have chemical resistance to acid rain, solvents and sunscreen (Scenix colors and clears do not "blacken" or emulsify from repeated exposure to sunscreen). Mix thoroughly for several minutes and spray soon after mixing as mixture has a one-hour pot life. 4016 Cross-Linker is an essential cross-linker added to all Scenix Paints and Clears for maximum chemical resistance. 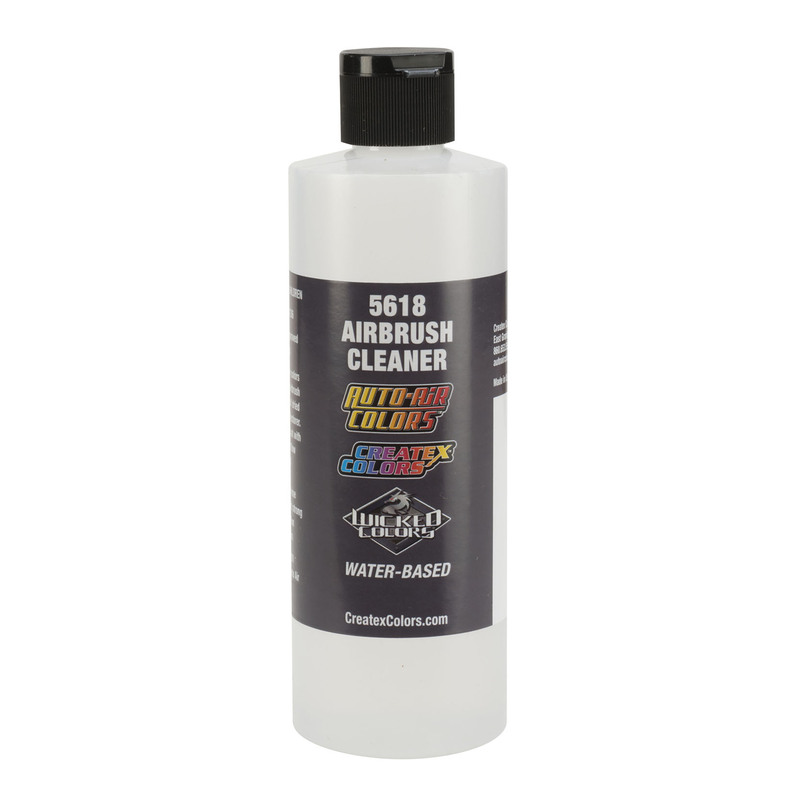 Recommended when painting flexible surfaces such as vinyl, latex and leather and more.